Today is seems that the Amazon Japan product page offers the first info and media from Compile Heart’s upcoming game, Arc of Alchemist, which is currently in development for PlayStation 4. 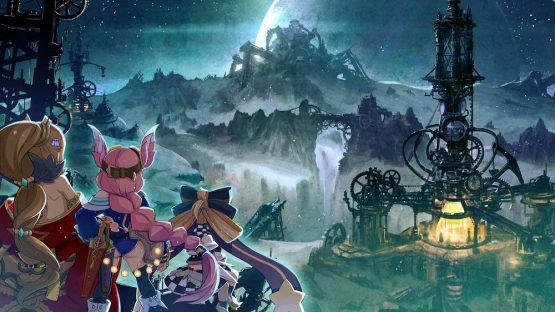 Luna Gear: Clear New Paths with an Ancient Alchemist Device – In the world of Arc of Alchemist, there exists an ancient alchemist device called the Luna Gear, which can only be used by the protagonist Quin. Luna Gear parts, known as Orbs, each have their own attribute that enables the use of Gear Actions in the field, such as lighting a fire, creating wind, etc. By combining two orbs in battle, you can activate even more powerful Gear Actions, enabling attacks. Skillfully utilize the Luna Gear according to the situation to annihilate your enemies. Construction: Build a Base to Aid Your Adventure – At the base, where Quin and company tide over, various facilities can be constructed that aid in character strengthening and exploration. Construct facilities that suit your play style, such as strengthening characters, enhancing equipment, etc. to build up a base all your own. Arc of Alchemist is going to be released for PlayStation 4 on November 28 in Japan. Meanwhile, Compile Heart has other titles under its belt, not the least of which is Brave Neptunia. Does Arc of Alchemist tickle your fancy? Let us know in the comments.